Each year since 2009, I have been collecting unwanted motorized wheelchairs and scooters, refurbishing them, and giving them away at the holiday season at no cost to the disabled who cannot afford them. To date I have given well over 580 motorized chairs and scooters with at least another hundred to give away this holiday season. I call it The Gift of Mobility Giveaway. I am a cancer survivor who knows firsthand what these chairs mean to people. For those who are disabled these are much more than just a chair…. These are a means of independence, a chance to do normal things. There are thousands of people who are in desperate need for one of these chairs, but for some reason fall between the cracks and are not qualified to receive one . The irony of the whole situation is that there are thousands of these unwanted chairs out there that people no longer need and have no idea what to do with them. There is never a charge for those receiving a chair. Each year we spend many thousands on batteries, picking up unwanted chairs and advertising. Anyone caring to donate may do so at my GoFundMe page. Each year March 1 through October 31, I take donations of unwanted motorized chairs. They can be dropped off any time. If you are unable to deliver the motorized chair, I will arrange to have a volunteer pick it up within a 40-mile radius of Norwich, CT. Throughout the year if someone is in dire need and we have a chair that is ready to go we donate that as well. 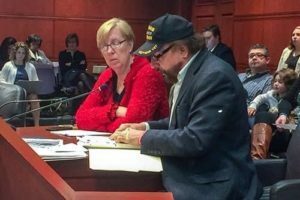 State Senator Cathy Osten (D-Sprague) and Norwich business owner, Phil Pavone, brought their message of equality and hopefulness to the Legislative Office Building in Hartford, where they both testified in support of a proposed bill that would amend state law to require insurance companies to provide more motorized wheelchairs to people in need. Senators Heather Somers and Steve Cassano are cosponsors. Yearly I give away about 100 refurbished motorized chairs to needy children and adults . 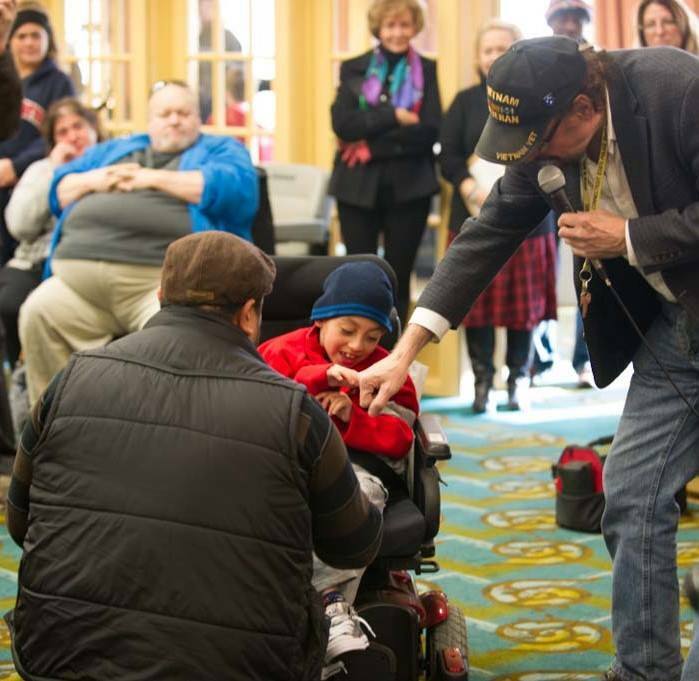 Insurance companies and government officials deny wheelchairs to our vets, our children who need them to go to school, to people without limbs…..